1. Mix everything together and let sit for 3-4 minutes. 2. Spoon into muffin pan, about 1/3 full each. 3. 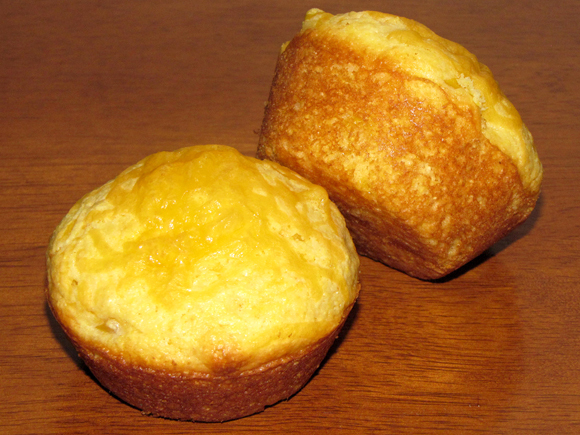 Sprinkle about 1 tsp shredded cheese onto each muffin. 4. Bake according to box directions.